Duke Energy Renewables’ self-operates its wind turbine fleet after the end of the manufacturer’s warranty period with an estimated cost savings of up to 35% when it shifts to in-house O&M services. At the same time, Duke Energy projects gearbox failure rates may increase by up to 400% as the fleet ages. To achieve cost savings with older turbines in its fleet, Duke Energy implemented new strategies in operations and maintenance, risk management, and inventory management. Duke Energy identified DigitalClone Live as a tool to help reduce the cost of gearbox failures. Duke Energy, which already utilizes conventional condition-based monitoring systems, structured a phase I program to evaluate if DigitalClone Live could predict failure risk for individual wind turbine assets . Duke Energy looked at Sentient Science’s DigitalClone Live software to more effectively forecast gearbox failures over a multi-year period and identify the best corrective actions to maximize fleet ROI. 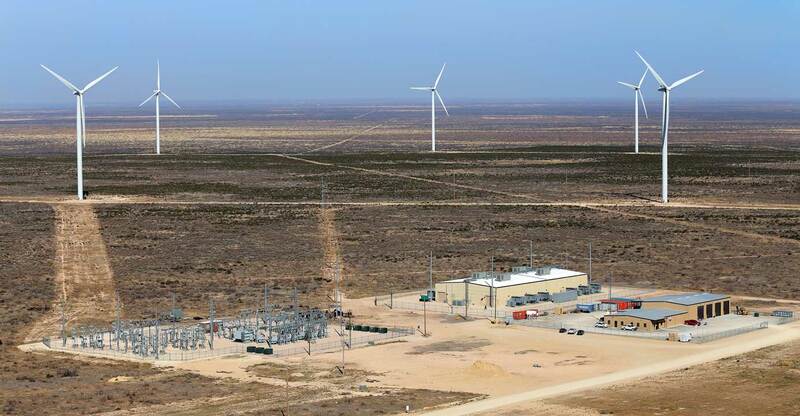 Sentient Science used its DigitalClone Live’s material science-based software to digitalize 109 Winergy 4410.4 GE 1.5MW-rated machines within Duke Energy’s operational fleet. The project’s success would be measured by how many gearboxes DigitalClone Live identified and confirmed were not in Duke’s current watch list from existing tools, such as oil debris and vibration monitoring. And also how the predictions of critical gearbox issues correlated with borescope inspections conducted on the gearboxes. The DigitalClone Live Watch List predicted 11 specific wind turbines would show observable damage on the gearbox in the next 12 months. Duke Energy Renewable Services climbed uptower to borescope 7 of the 11 turbines on the DigitalClone Live Watch List. All seven (7) gearbox inspection reports confirmed observable damage. DigitalClone Live also predicted the correct damaged subcomponent on five (5) turbines. Duke Energy’s existing Watch List from its condition monitoring system and historical data had not detected the damage. As a result of the project, Duke Energy proactively scheduled four uptower replacements. Duke Energy saw additional cost savings in crane expenses by proactively replacing the defective parts rather than scheduling expensive cranes to complete one-off gearbox replacements. Sentient Science also identified and recommended additional life extension opportunities on wind turbines where uptower replacement was not a viable option to delay progression of damage to optimize maintenance schedules. The business value assessment indicated that Duke Energy could successfully use DigitalClone Live to reduce annual gearbox failure rates by implementing life extension actions, bundling O&M, and reducing technician visits and time spent uptower. The technology also provides budget and inventory forecasting data to predict and reduce the risk of failures of new and existing gearboxes in the fleet. Duke Energy is one of the largest electric power holding companies in the United States, supplying and delivering electricity to approximately 7.4 million U.S. customers. Duke Energy has approximately 52,700 megawatts of electric generating capacity in the Carolinas, the Midwest and Florida – and natural gas distribution services serving more than 1.5 million customers in Ohio, Kentucky, Tennessee and the Carolinas. Duke Energy’s commercial business owns and operates diverse power generation assets in North America, including a portfolio of renewable energy assets.